While Houston is still recovering from the massive damage caused by Hurricane Harvey, a state of emergency has been called in Florida as it braces for Hurricane Irma, a category 4 hurricane with winds of 150 miles per hour. These ferocious storms have an enormous impact on the real estate market, with an estimated $30 billion in property damage from Hurricane Harvey alone. With so much coastal development in Florida, Credit Suisse estimates that Irma could bring $125 billion in overall damages once it hits Miami. This unprecedented series of disasters should be eye-opening for anyone in the real estate industry. Whether you’re an investor, developer, broker or tenant, you should be mitigating the risk of damages due to natural disasters. 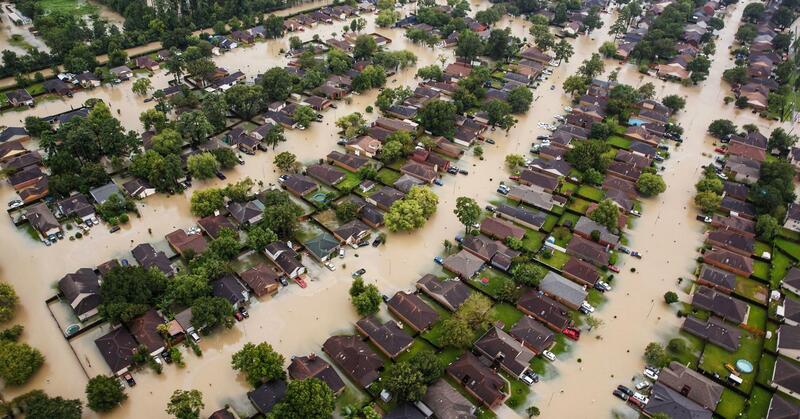 Hurricanes in particular cause massive damage from flooding, with the waters in Houston reaching several feet high. 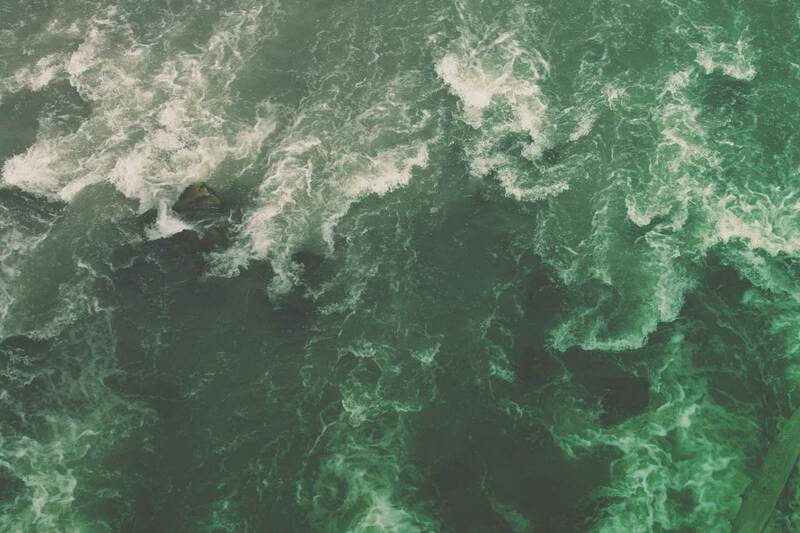 In light of these recent storms, we’ve built a new flood risk layer in PiinPoint that allows any user to view flood zones across the United States. Using this layer, users can anticipate the risk of flooding for existing or potential real estate in any market. Being in a flood zone can be very costly, even if your property is never actually flooded. The National Flood Insurance Program (NFIP) requires that all business owners buy flood insurance if their business has a 1% chance of annual flooding. According to FEMA, flood insurance premiums cost, on average, $700 per year. 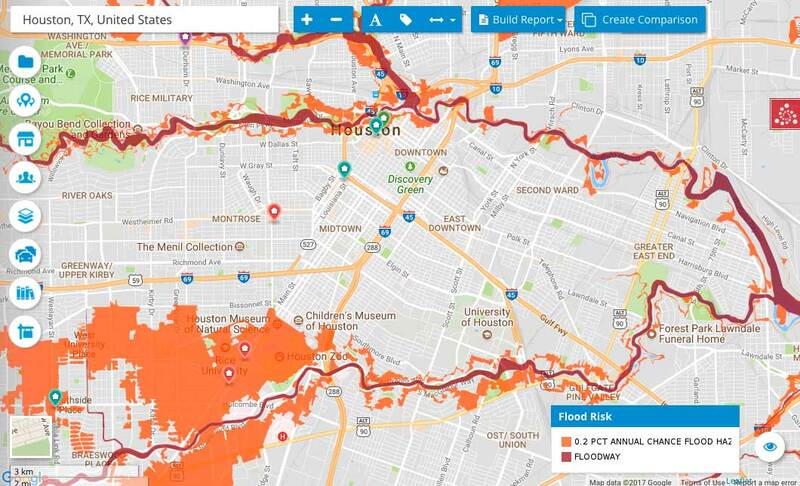 The goal for our flood risk layer was to take FEMA’s flood zone maps and make them more useful by allowing users to view them over larger areas and overlay it with their current locations and candidate sites. This feature can be toggled on from the Data Library panel along the left-side of the map. Our flood risk layer shows two types of flood zones: Special Flood Hazard Areas (SFHA) and moderate flood zones. The SFHAs, shown in red, have a 1% annual chance of flooding, meaning they are estimated to experience one flood every hundred years. Moderate flood zones, shown in orange, have a 0.2% annual chance of flooding, meaning they will experience one flood every five hundred years. By turning on this layer, we hope that our users can make more informed decisions when thinking about investing in areas at risk of flooding.